The Only Reference That Mattered – DairyBoy Comics! 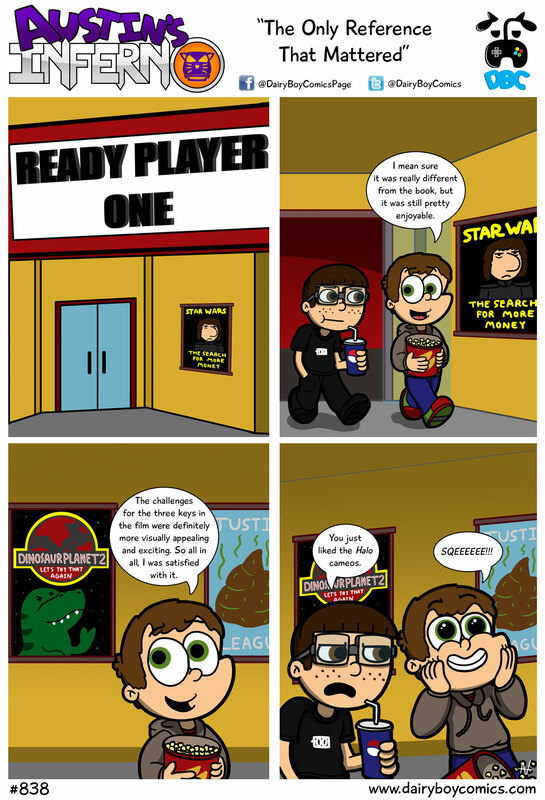 So Ready Player One wasn’t a terrible movie. WAY different from the book, and there were quite a few weird decisions made. But overall a fun film. So two weeks from now, I’ll be in England on vacation. Expect a guest comic that week! I loved it more than the book. It was freaking awesome.